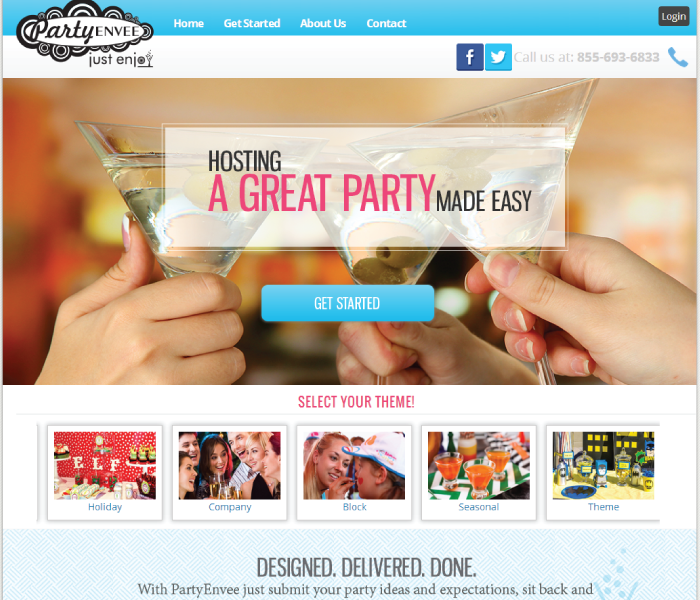 A full service web design, development and hosting company. Located in Nashua, NH. Our designs are original, creative and most importantly, functional. We make your brand of business stand out. We're able to tackle many complex problems because...we've probably already had to figure out a solution to them before. We realize websites don't have normal business hours, so that's why we don't really either. We are virtually always available via email. Our Creative & Design Process. Our designers take the time to get to know your company, its business goals and target audiences. The outcome is an outstanding web design that presents clear navigation, satisfies the requirements for the web development portion of the project, and speaks of your uniqueness to all of your target audiences. We’ll have your visitors falling in love with your company. Web development is the ying to our yang. At every stage in our process research, usability and best practices are used to validate each decision. We make sure the Web design and technical functionality meet the needs of the end-users, aka: your customers. All of our websites are written in ASP.NET C# with SQL server database backends. We use modern web styles and practices in coding our sites, making sure they look and function correctly on all major browsers. We build custom applications and solutions to fit our client’s needs. These applications range from simple websites to advanced automated systems, to custom CRM's to mobile web app solutions. We have an eCommerce solution to fit both your needs and budget. We've hooked up dozens of sites through popular payment gateways such as Authorize.net, First Data and Recurly subscription billing platforms. Simple PayPal & Stripe integrations will have you up and accepting online payments in no time. 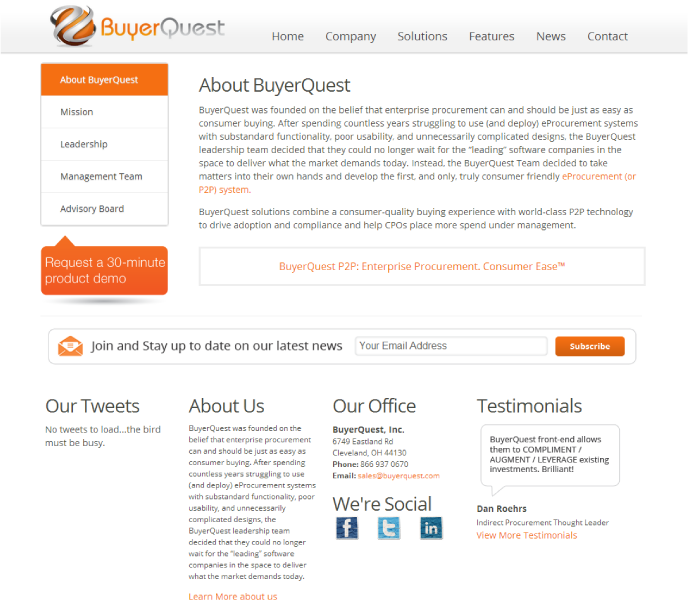 We build our product management systems to fit your business needs. Do you have a simple or complex product with many options and configurations? Not a problem! We build a management catalog that supports all features and options for your products. 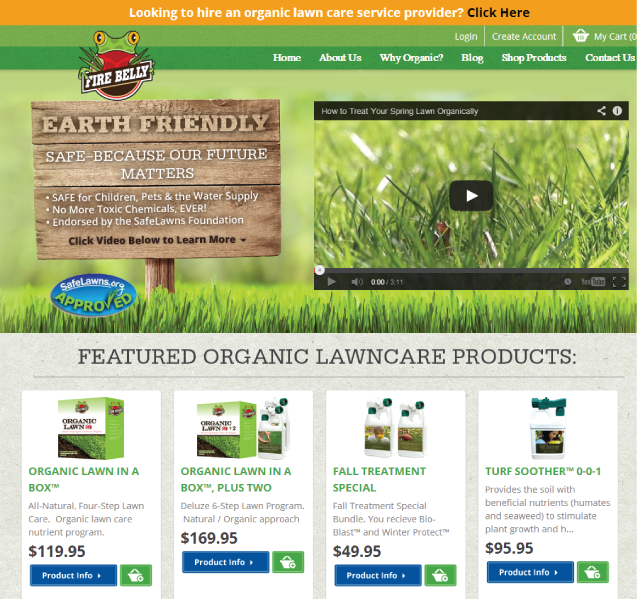 Control everything from product options, pricing, descriptions and multiple product images. Out of the box we offer all our clients who choose an ecommerce solution the ability to manage the following items in regards to their product catalogs. You're always a few clicks away from updating or managing your site. Our proprietary content management system (CMS) is the back-end interface used to manage your website. Our CMS was created from the ground up and engineered to allow the most novice user the ability to update their website's content. 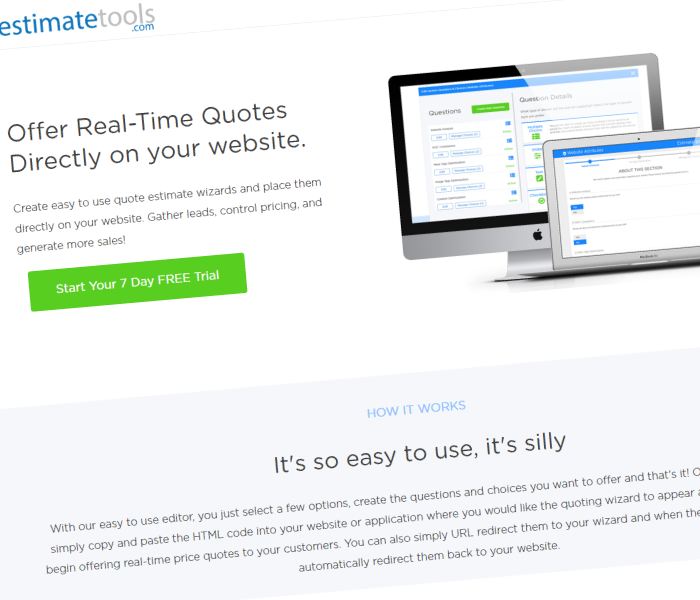 Another huge advantage of our CMS is that we custom tailor it to fit your exact needs. 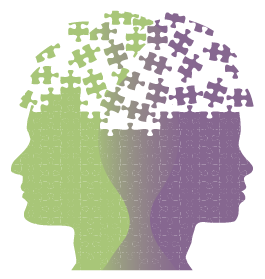 No out of the box solution such as Joomla or Wordpress can grant this level of flexibility and remain as user friendly. Since we only include everything you want & need, you are not overwhelmed by extras you will never use. With the Gotumba CMS it's easy to make changes to your website's content. Securely log in to your CMS from any web browser. Our CMS allows you to edit your page content, maintain your online store and inventory & orders, as well as photo albums, videos, and other website settings. Our CMS makes it easy to integrate your social media accounts with your website. Engage with your customers, keep them longer, keep them updated about your business, and grab new customers through social networks. Votumba provides hosting for all sites it develops. Our standard hosting is $10 dollars a month. We offer standard hosting + daily database backups for $22 a month as well. All hosting is billed on a month-by-month basis automatically. You may cancel at any time. 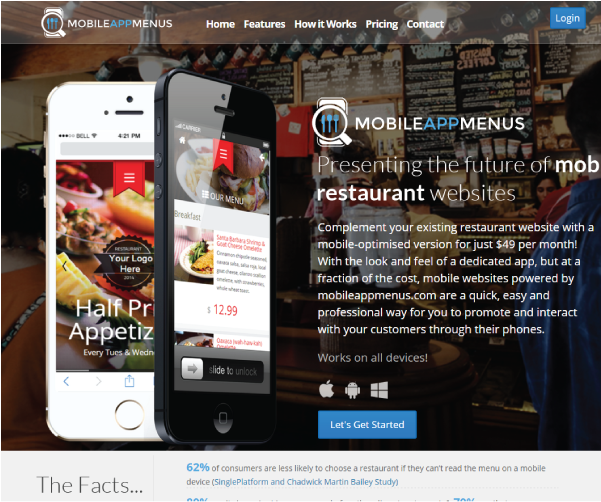 We work to understand your business and your website application needs. We aim to automate and help streamline your business and customer experience wherever possible and we'll suggest creative and innovate solutions to accomplish your goals. First you fill out our design survey. Then the design brief is handed over to our designers. Within 7 days you will have many mock-ups to choose from. You pick the one you like best, we have a round of revisions, and then design process is complete. The coding of your site begins. As it progresses, your site is hosted on a staging server for you to view all updates throughout the project and provide feedback. Once you have given final sign-off, the site goes live on your domain name. Votumba is then available free of charge if anything were to go wrong or if you have any questions regarding your new site. We're also available for future updates or enhancements. 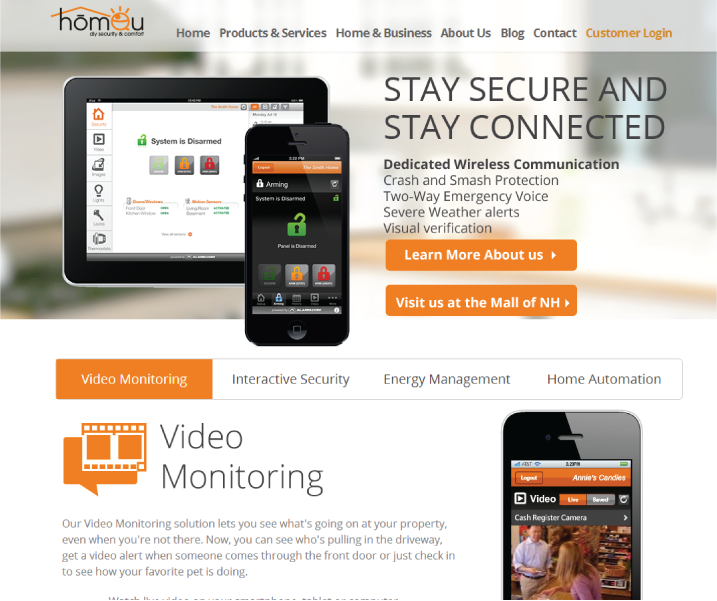 Luke, Thank you for the quick and painless setup of our new website. Votumba is a cost-effective and high-quality service that has given our business much needed web visibility. We were very pleased with the service received and look forward to increased sales and opportunities that this website will surely bring to our company. To say that Luke is a patient and supportive web developer is an understatement. As the founder of a tech startup I jumped in with no technical expertise whatsoever, so it was imperative that I find someone who could bring my vague idea to a fully functional platform that I would be excited to bring to my audience. Votumba was the first web development company I approached, and I’m grateful that I chose to contract with Luke to make my vision a reality. Soon to be in beta, I’m thrilled to know that Luke will continue the web development of Bhlue as it transitions through ongoing iterations that support the needs of its customer base. I know that whatever I challenge him with, he’ll make it happen. We at Sable's Diva LLC have been very impressed with the web design services that Votumba provided. 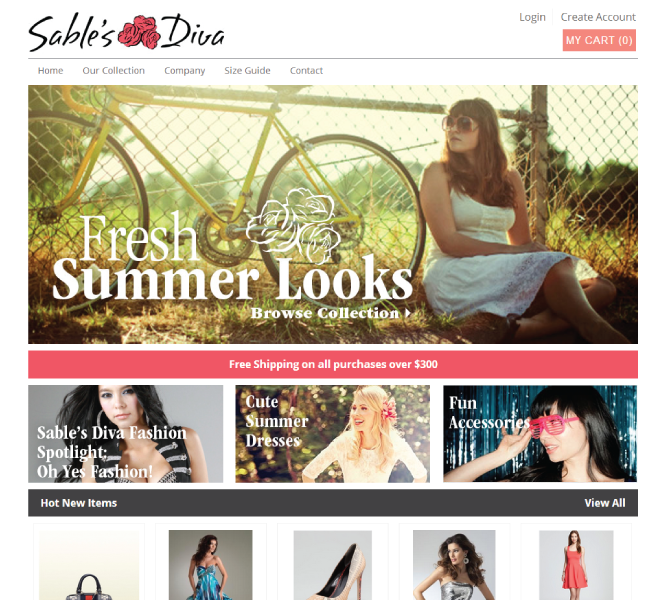 The design team rendered top notch web and graphic design concepts that I believe will give my ecommerce website sablesdiva.com an advantage in the fashion industry. I was referred to Votumba by a close and respected personal source from the social media marketing community and I would highly recommend Votumba to any business that seeks a web design company that offers high quality services. 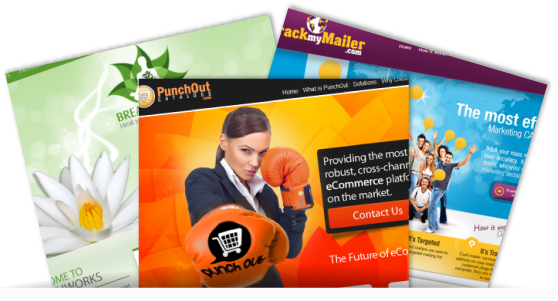 We were looking for a solution to produce online ecommerce stores for our customers. We found Luke after searching the web and finding his work visually appealing. 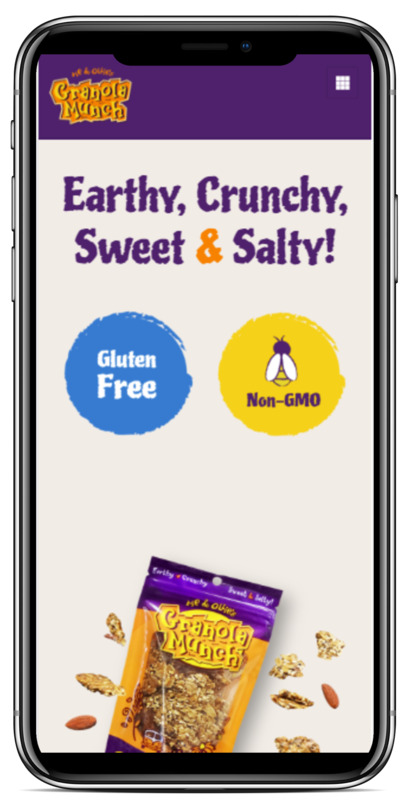 Luke understood our needs from the beginning and with little direction created a simple, easy to use, and customizable site that is exactly what we were searching for. His response time was quick and completed the job earlier than promised. I recommend Votumba to anyone looking for a job done well and done right. 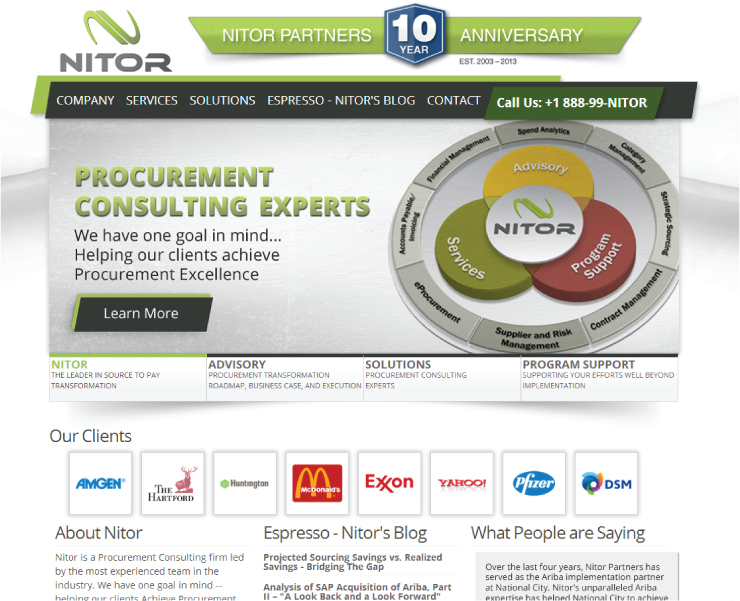 At Nitor, we offer our clients trusted experience and advice, flexibility to address change in scope/scale, and an expectation of unequaled quality. We found those same qualities in Votumba as we worked with Luke and his team to redesign our website. Luke offered creativity, honest guidance, and was highly responsive and proactive in helping us understand what we needed -- and what we didn't need -- in our new website. Votumba's support before, during, and after the launch of our new site has been terrific…we'll continue to partner with Luke and his team going forward. Luke at Votumba has provided us with excellent service from the start. After a few minutes of speaking with him, I just knew he was the guy! He is very easy to work with, listens, helps and replies in a timely matter. He took our old and outdated website and provided us with a newly designed, beautiful one which is now easy to navigate and user friendly. I highly recommend him to anyone for fast, efficient and great quality work! We approached Luke at Votumba about putting two new sites together for us in a time crunch due to an event we were attending at the last minute. Luke went above and beyond what was asked of him, providing two sites of extreme quality that out did our expectations. Not only were they done in the time frame we asked of Luke, but they were two of the most professionally designed and attractive sites we'd had to date. Luke was patient in training us on handling administrative duties for the site and continues to be very responsive when we have questions or need support. We've found a permanent home for our company websites with Luke and Votumba. From the start Luke has been very easy to work with, professional and highly skilled as a web developer. He was very patient with me and my lack of knowledge in web design and very prompt at answering all of my questions. He was able to create a very professional site that is very easy for me to maintain and update as I will have a large amount of content to upload. I highly recommend him and his team and will definitely use him again! 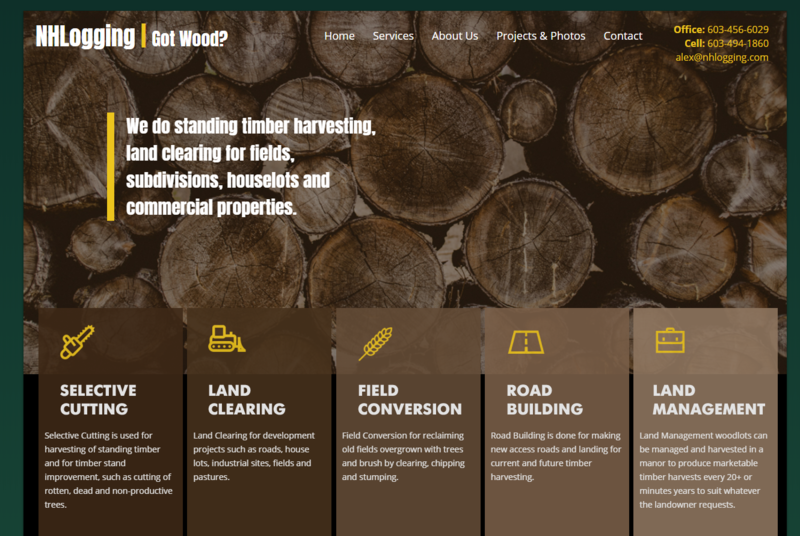 Luke and the team at Votumba exceeded all my expectations for the design and ease of use for my website. They were extremely patient with me when I changed my mind a hundred times! 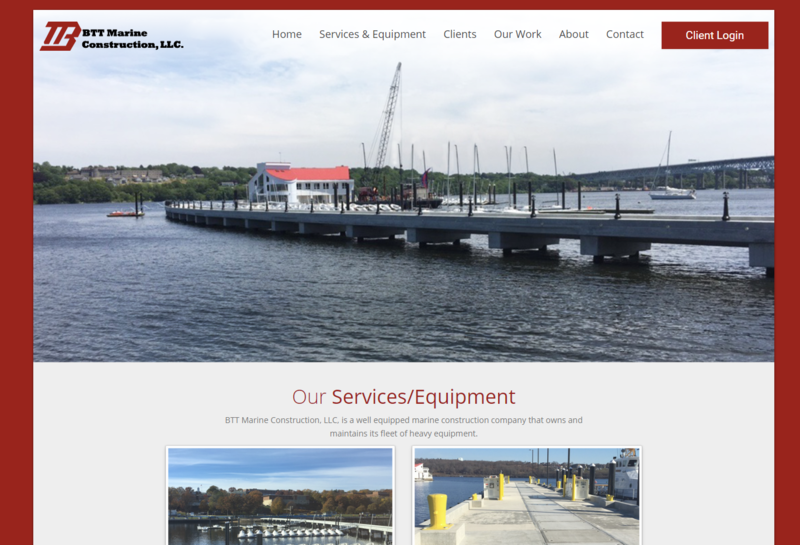 It was amazing to watch them take what I thought would be the right look for my website and create a site that was way better than I could have imagined. I love the flexibility of being able to tweak it from home when needed! All in all the process and experience was easy and fun. I would highly recommend them to anyone! Luke was a blessing! He was professional and was patient with my many questions and scattered ideas of what my website should look like. I would use him again any day, and also have recommended him to other business professionals. He’s versatile, and delivers quality work. Can not say thanks enough! Votumba took the time to listen to what I wanted, an easy to navigate website where customers can find everything they are looking for. The second was the ability to change and modify products and images as demands change and my company grows. Luke and his team at Votumba are able to deliver a high quality website at a reasonable price and in a timely manner. 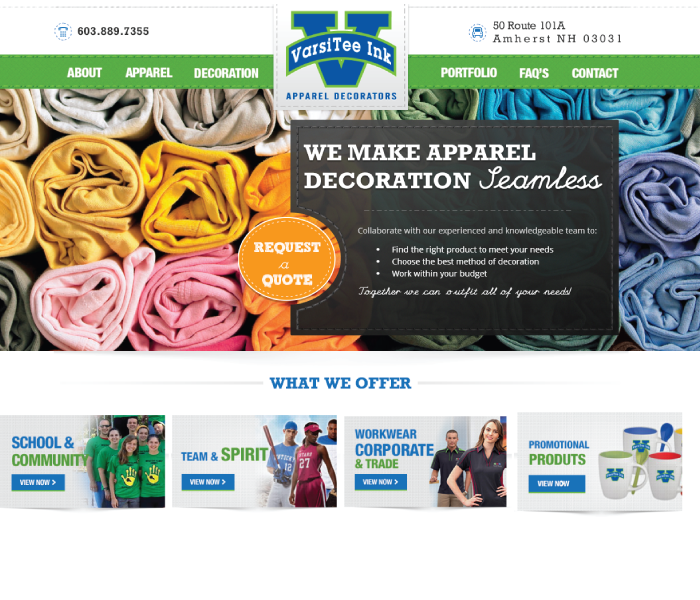 We were in the process of opening a business and a web-site was going to be instrumental. We called Luke on a Saturday morning and he agreed to meet with us that afternoon. We met up and provided him with the details and information about our company and in three days we were up and running. I would highly recommend Luke to anyone who is looking for quick, precise and professional service. What can I say about Luke and Votumba? Great service! Great design! Great penguin! Luke is easy to communicate with and he works hard to make my site the way I want it- at a reasonable price and with remarkable efficiency. I feel inspired by my new site- and this is great for my business. Thanks Luke! After a quick 5 minute conversation with Luke, I knew he was the guy to build our site. Every other web design company I spoke with before Votumba was trying to figure out how to fit us into their cookie cutter web-sites that were not right for us. With Votumba, the site was built around our needs, and it shows. I would like to take a moment and recommend the professional web services of Luke Tomanek. After speaking with him over the phone and through e-mails he was able to expertly guide me through the maze of information needed to build our web page. After supplying him with the information, background, photos and generally idea of what I was looking for...Luke did the rest. I was both shocked and pleasantly surprised when after receiving my information, Luke had a prototype web page up and running in less than a week. 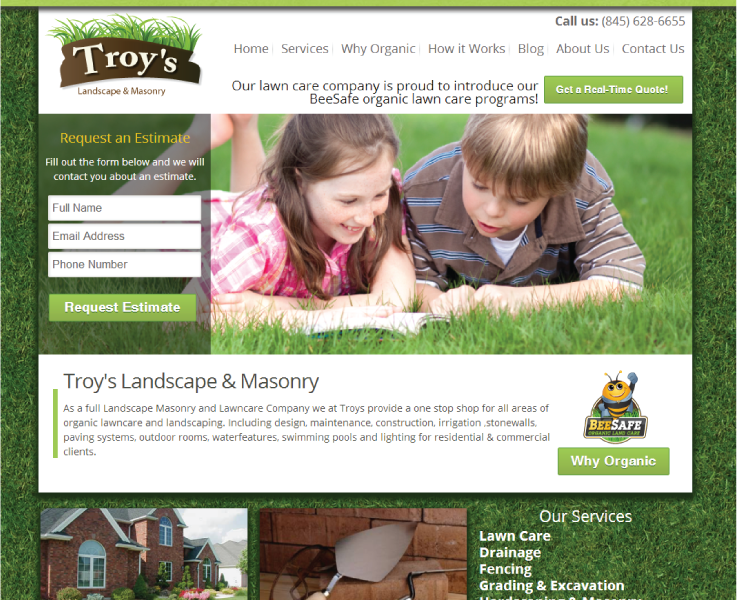 After fine tuning the page the whole process was completed in two weeks and we are very pleased with the results. Luke’s professionalism, speed, attention to detail, and accuracy is to be commended. I will promote his service between my peers and pass his name along to anyone looking for first class web services. Luke Tomanek is a talented, ethical professional. He delivers when he says he will, his work is error-free and he communicates regularly while working on your site. From my first conversation with Luke, I never doubted that engaging him to design my website was an excellent business decision. 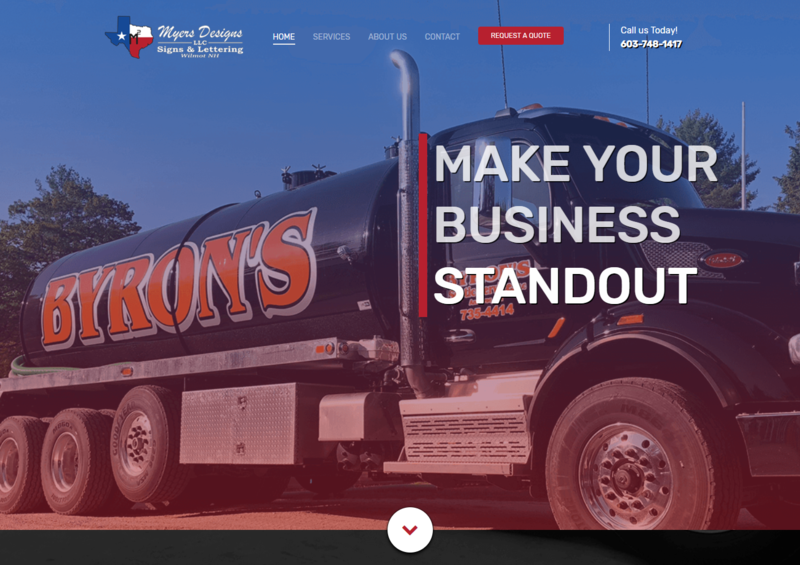 Luke has a special talent for designing a site that is uniquely crafted to represent you and your business. My site has been live for a short time and the constant flow of compliments I have received are a true testament to Luke and Votumba Designs. Your web designer can make or break your success. Don’t take chances with your business. Hire the best! Working with Luke has been a gratifying experience. Not only did he set up our website just as we asked but if I had any questions or needed help of any kind, his response was immediate. Thanks, Luke. You run a great company. Hosting is $10 a month for standard or $22 for daily database backups. We encourage anyone with ecommerce related information or user accounts with their site to opt for database backups. We accept all major credit cards, hosting is billed month-by-month and automatically. Deposits are typically 50% of the quoted price to start and final balance is due when site goes live. For larger projects deposits and billing may be split up into 3 or 4 payments. Do I have access to my website files? Yes! Once final balance has been paid you may request your site files or copy of database at any time. Do I have to have a contract with you? No, hosting is month to month and you may cancel at any time. If future updates or enhancements are needed on your site, Votumba will quote the work on an individual basis as it's needed. Please submit the form below by answering all the questions best you can. We will be in touch with you as soon as possible.